The more servant leaders we have in our nation’s companies and organizations, the happier and more engaged American employees will be. Art Barter knows a lot about leadership. For years, he moved up the corporate ladder practicing what he calls “command and control” leadership. But after a few decades, he couldn’t deny that this traditional leadership style was unsatisfying and, ultimately, ineffective. Fortunately, Barter discovered a better way: servant leadership. Barter put servant leadership into practice and successfully transformed Datron World Communications, Inc., from a $10 million company to a $200 million company in just six years. In the process, he developed a passion for sharing the power of servant leadership with others and an actionable process for becoming a servant leader. In late 2016, Datron received its largest contract ever, worth $495 million dollars. 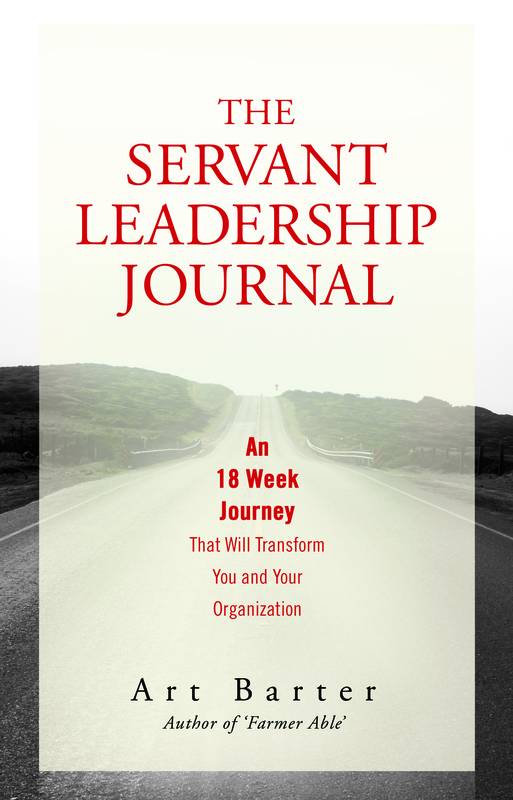 In The Servant Leadership Journal, author Art Barter takes leaders on an 18-week journey to transform their leadership behaviors. Drawing on his own personal experiences and the wisdom of other experts, Barter teaches leaders the nine behaviors necessary to becoming a servant leader, and provides a framework for implementing those behaviors and evaluating one’s success. For each of the nine behaviors, Barter outlines four steps leaders can take to make the behavior a regular part of their leadership practice: educate, understand, apply, and reflect on each behavior. By the end of the 18 week journey, the nine behaviors will become new leadership habits. Art Barter founded the Servant Leadership Institute (SLI) as a vehicle to share his knowledge and to teach others how to inspire and equip those they influence. He is also the owner and cultural architect of Datron World Communications, Inc., an organization he transformed from a $10 million company to a $200 million company in just six years by putting into practice the behaviors of servant leadership. 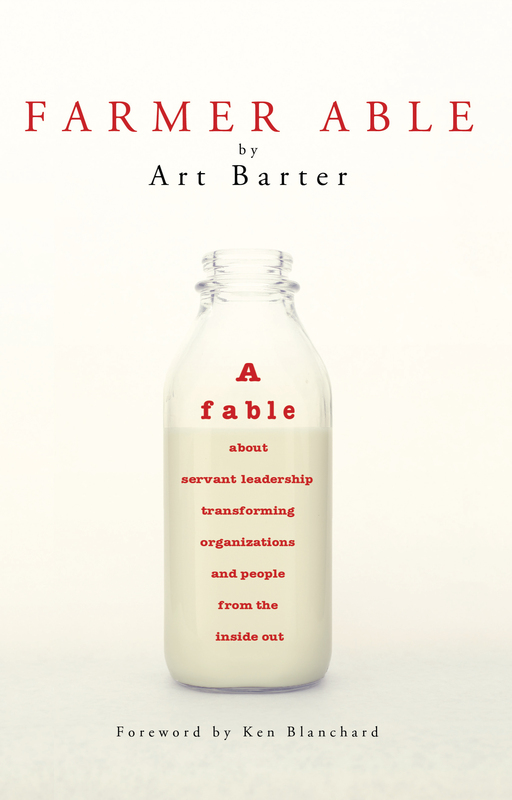 Barter is the author of Farmer Able: A Fable About Servant Leadership Transforming Organizations and People From the Inside Out. 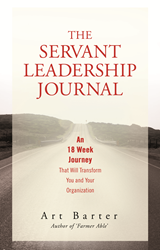 In his newest work, The Servant Leadership Journal, Barter teaches the nine behaviors necessary to grow into a servant leader.